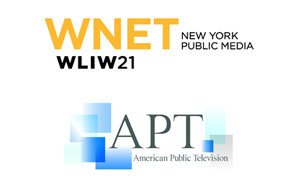 Post-election, a television exclusive with Wall Street’s long time number one ranked Washington analyst. The Scowcroft Group’s Tom Gallagher discusses what the election means for the economy and markets and how it affects your job, taxes and portfolio. 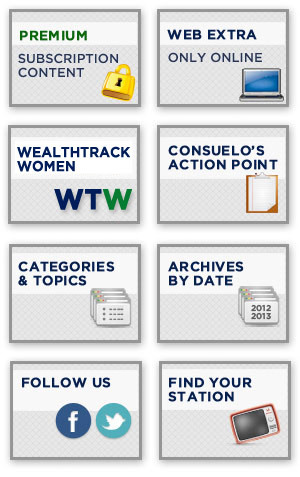 Access WEALTHTRACK content by clicking on the topic you’re interested in. The waiting is over. The decisions have been made. President Obama has four more years. The Senate remains with a Democratic majority and the House of Representatives is firmly controlled by Republicans. What is being called a” status quo” government has a big job ahead of it: to right a struggling economy and get America back on the growth track. The economy was the number one issue in the exit polls. No one said it would be easy. Wall Street’s initial reaction to the election was negative. The Dow suffered its biggest decline in a year, off more than 300 points or 2.4% on Wednesday and it fell again today, but the 12 months leading up to the election has been an impressive one with stocks up across the board. Even before the President and Congress begin their new term in January, he and the lame duck legislators have critical work to do. The dreaded and much heralded fiscal cliff looms large. As much as $700 billion in across the board spending cuts and tax raises are set to automatically take affect the first of January unless Congress and the White House take action to avert it. If they don’t the economy could be thrown into recession. Another major and related challenge: the federal debt limit or ceiling as it is called. Currently set at $16.4 trillion, it is expected to be hit some time before year end. If it’s not raised, or the deficit reduced the government won’t be able to pay its bills and risks default on its debt. This week, Fitch Ratings agency warned “The economic policy challenge facing the president is to put in place a credible deficit-reduction plan necessary to underpin economic recovery and confidence in the full faith and credit of the U.S.” If it doesn’t, Fitch said it will downgrade its triple-A credit rating of U.S. treasury securities. Another ratings agency, Moody’s, has threatened to do the same and Standard and Poor’s did so in August of last year. and your portfolio? This week’s guest is noted Washington analyst Tom Gallagher, who was ranked number one in his field by Institutional Investor magazine for ten years in a row. Before becoming a principal at The Scowcroft Group last year, where he advises clients on U.S. monetary, fiscal and political matters, Tom was the head of ISI Group’s policy research team in Washington. I’ll begin the interview by asking Tom Gallagher how worried he is about the fiscal cliff now and come January. On WEALTHTRACK Extra this weekend, you’ll also hear about Tom Gallagher’s adventures abroad! An avid traveler, he will tell us when he was bitten by the travel bug and some of the exotic destinations he’s visited this year. Have a great weekend and make the week ahead a profitable and a productive one!